Mary Curry was born in 1893 in Ogden, Utah. Mary was the daughter of “Mother” Jennie Curry and David Curry, founders of Camp Curry in Yosemite Valley in 1899, and grew up in Yosemite Valley. Yosemite became her home at age five. Mary met her future husband, Donald Tresidder, while he was a medical student working summers in Yosemite. They married in June 1920. Donald became a doctor (although he never practiced) and also served as President of Stanford University from 1943-1948 and was President of the Yosemite Park and Curry Company, the private concessionaire for Yosemite National Park, from 1927-1943. It was the Tresidders who were driving forces behind the construction of the elegant Ahwahnee hotel in Yosemite Valley. 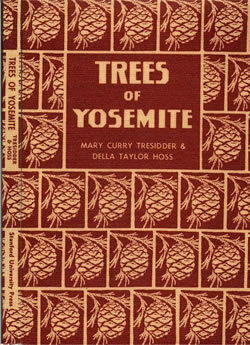 Donald Tresidder died in 1948 and Mary assumed the presidency of Yosemite Park and Curry Company. 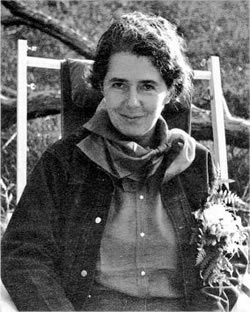 Mary Curry Tresidder had a lifelong interest in botany and, in 1932, she wrote Trees of Yosemite, which was illustrated by her friend Della Taylor Hoss. The book was designed for the general public and was hailed as both an excellent introduction to the flora of Yosemite but also as a work of art due to the stunning linoleum cuts of Hoss. Mary Curry Tresidder died in 1970 while in her Ahwahnee Hotel suite. - Portrait by Ansel Adams, taken while Adams was employed by the Yosemite Park and Curry Company, c. 1935, National Park Service: Yosemite National Park.